Baseball season is in full swing, and 12-year-old Henry is ready to play! The only problem is that he’s not very talented. What’s worse, he falls and breaks his arm. 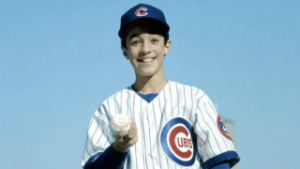 When the day finally comes to take off his cast, a miraculous thing happens: With his new arm, he can now out-pitch any player in the major league, and he’s recruited by the struggling Chicago Cubs to help them to the World Series. Kids will fall in love with this 1993 baseball classic the way their parents did when they were kids! Presented in 35mm courtesy of Criterion Pictures.